In an ideal world, we would run a new personal record at every race we enter. 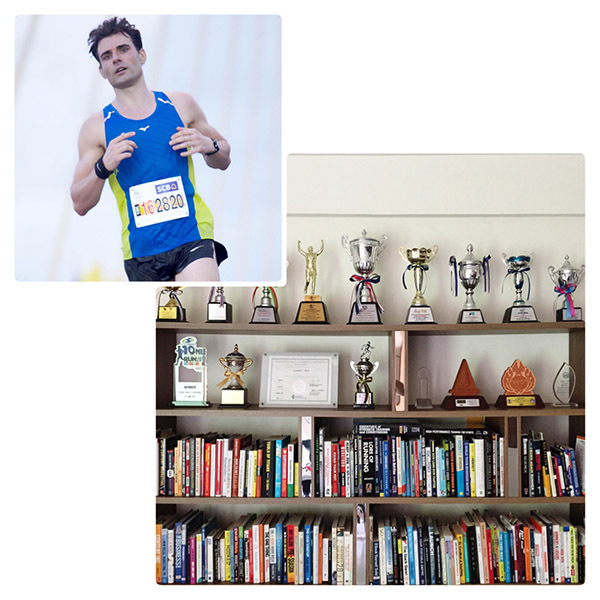 Peak performance, that’s what we competitive runners train for day in and day out. That luring new PR is what makes us get up in the morning on a rainy day and run hard intervals even if we don’t feel like it. While a performance increase in a straight line is fiction, I will make a case on how to give it your best shot every time. The ultimate goal of training – aside from its health benefits – is to reach ‘peak performance’ on race day. For world-class athletes that means being in their best shape for a few key events, such as the Olympics, World Championships, and major road races to attract sponsors and to win prize money. That requires an unrelenting focus on one particular race distance throughout the season. The reality of most competitive runners, however, is quite different. On average, we participate in 11 road races of per year. What’s more, most of us compete in 5Ks, 10Ks, and HMs frequently, with the occasional marathon to test our limits. That necessitates a flexible approach to training with multi-pace training year-round and rather short periods of event-specific training. 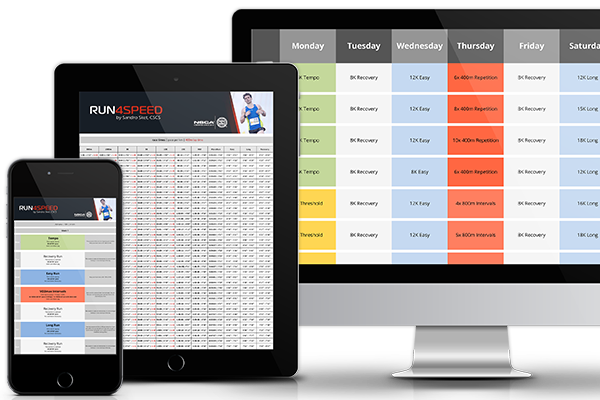 The most suitable method for frequent racing is non-linear periodization. Whereas linear periodization is based on dedicated focus blocks of 1 or 2 training modes, non-linear periodization incorporates the full spectrum of intensities year-round. There is still the element of ‘periodization’, of course, with an emphasis on certain abilities. And yet, no workout mode is ever really sidelined. The looming question is: “How long does it take to reach peak performance?” If you are running year-round, with a solid base of weekly mileage and multi-pace training, then a peak can be reached within a few weeks, depending on your race distance. In the next few paragraphs, I will outline how to peak for any of the classic road races with minor training adjustments. 5K peak performance: Minimum mileage = 20 miles (30 km)/week. Preparation time = 4 – 8 weeks. The 5K relies heavily on your maximum rate of oxygen consumption (VO2max), lactate tolerance, and maximal speed. Since 5K race pace closely resembles VO2max pace, the macrocycle to reach peak 5K fitness can be rather short. The long run should cover at least 7 miles (12 km). 10K peak performance: Minimum mileage = 25 miles (40 km)/week. Preparation time = 6 – 10 weeks. The physiological demands of a 10K race are very similar to the 5K (high VO2max, lactate tolerance, decent speed) but requires more stamina. This can be achieved with cruise intervals at 15K pace (direct endurance support). The long run should cover at least 10 miles (16 km). Half-marathon peak performance: Minimum mileage = 30 miles (48 km)/week. Preparation time = 8 – 12 weeks. 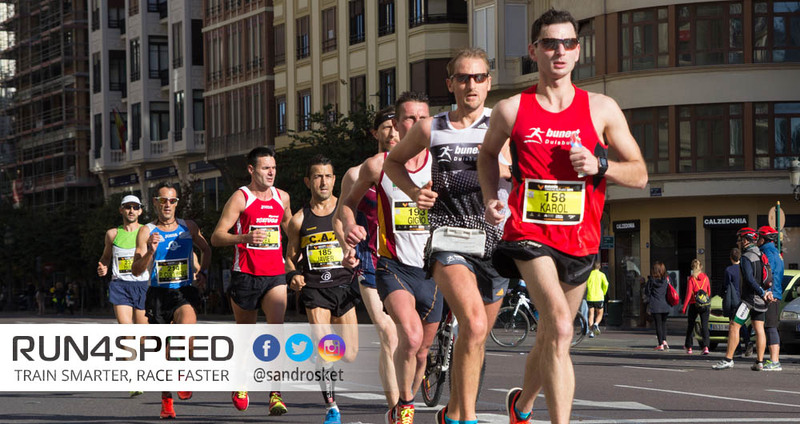 The half-marathon necessitates a high lactate threshold (LT) because a pace at LT can only be held for an hour. 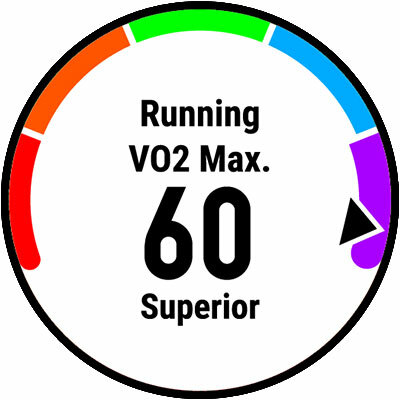 Threshold runs are most beneficial when a solid VO2max has been built in the weeks before. The long run should cover at least the 12 miles (20 km) with possible add-ons. Marathon peak performance: Minimum mileage = 40 miles (64 km)/week. Preparation time = 12 – 16 weeks. The marathon is an anomaly compared to the other race distances. It requires everything a half-marathon does, plus an incredibly high resistance to fatigue. Hence, a fairly high overall mileage and a substantial long run of at least 17 miles (27 km) in the peak week are mandatory. In summary: Given that you train consistently, peak performance for any of the classic road races can be achieved rather quickly. The most suitable method for frequent racing is non-linear periodization, which features multiple intensities at all times. Since the physiological determinants for different race distances overlap, a few weeks of race-specific sharpening are often all that is needed.